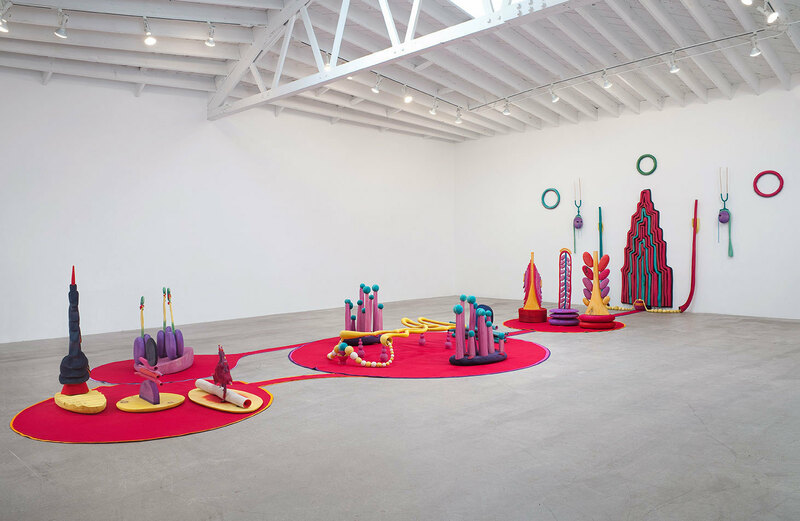 Installation view, Organ/Oganelle, Matthew Ronay at Marc Foxx, Los Angeles, 2014. Courtesy of Marc Foxx. 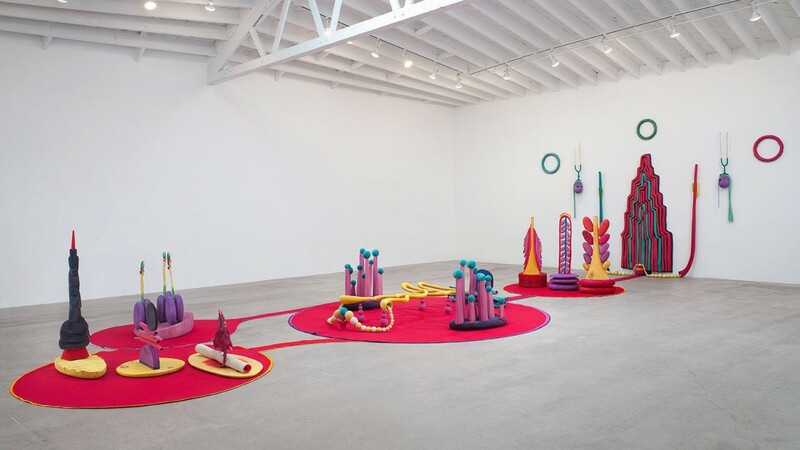 Nils Stærk opens In and Out and In and Out, Again, a solo exhibition by Brooklyn based artist Matthew Ronay. 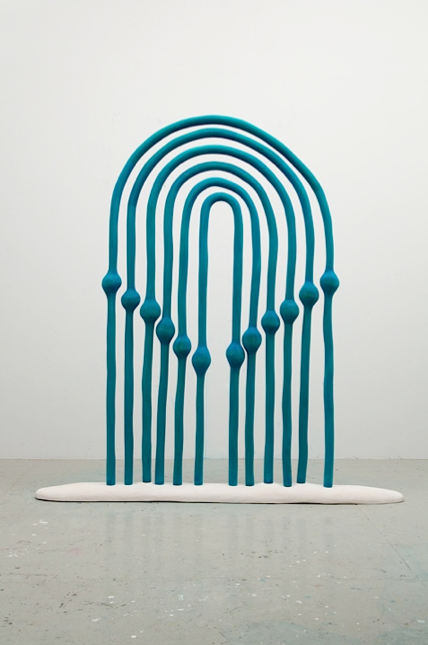 Ronay creates sculptures and installations, incorporating a variety of materials. 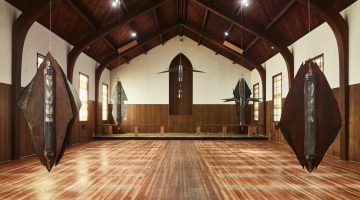 Many of the sculptures involve painted and stained woods, as well as plastic, metal, and textile components. 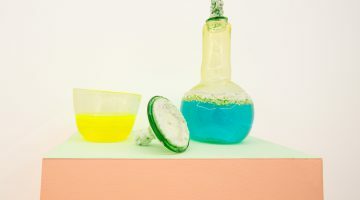 Often Ronay will arrange a group of separate sculptural works as an installation, creating environments as containers for related works. For the exhibition at Nils Stærk, Ronay presents a new selection of sculptures. A large composition on the back wall of the exhibition space meets a painted carpet at the floor, which extends into the center of room, playing host to a number of other sculptures. The group of sculptures included in In and Out and In and Out, Again are handmade from carved wood in various sizes and colors. Also on view in an adjoining room, Ronay presents a new series including seven wooden reliefs. 50.8 x 198.1 x 86.4 cm. Courtesy of Nils Stærk. 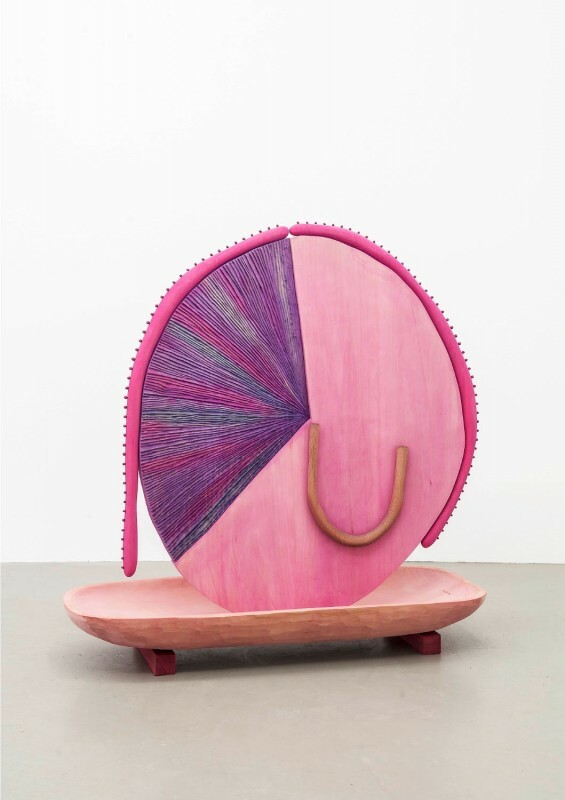 Matthew Ronay, Digestive Gate, 2013. Basswood, dye, shellac-based primer, 190.5 x 182.9 x 20.3 cm. Courtesy of Nils Stærk. 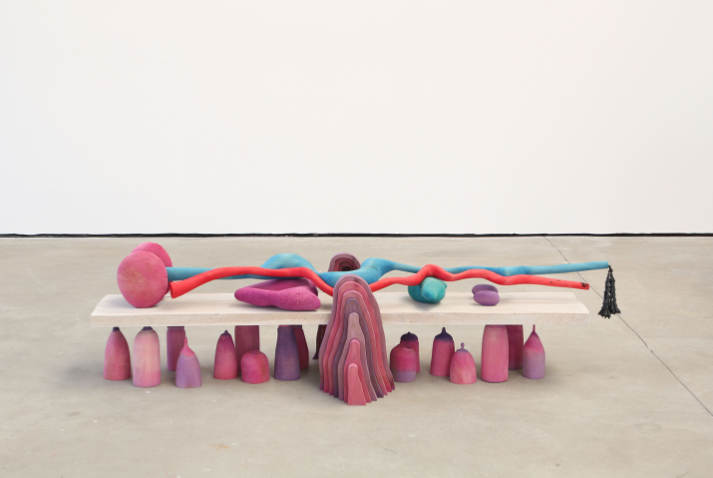 Matthew Ronay, The Tone, 2012. Basswood, white oak, ash, plastic, dye, steel and cotton, 101 x 97 x 38 cm. Courtesy of Nils Stærk.